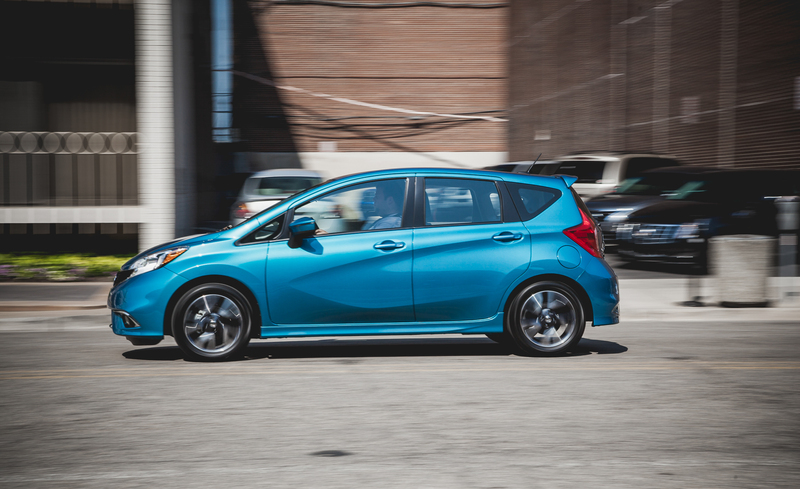 Handsome styling, a roomy back seat, and the promise of astronomical fuel economy are not enough to make the Nissan Versa Note an appealing car. Its weak 1.6-liter four-cylinder makes 109 hp and pairs with either a sloppy five-speed manual or a drone-inducing CVT. We could forgive the Versa Note its faults if it were fun to drive, but alas, its road behavior is bland thanks to a soft suspension and grip-free tires. Pick a competitor or even a used car before dropping your cash on one of these.